Open May to October . 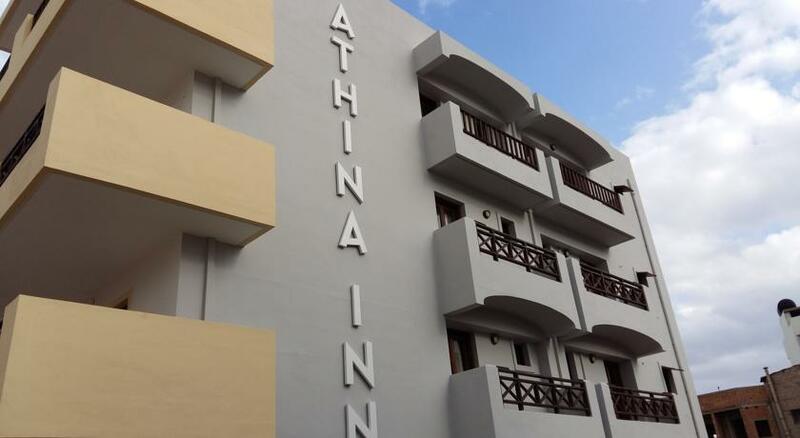 . . .Athina Inn Hotel at a distance of 27 klm from Iraklion and it is the most organised Tourist Resort of the province. 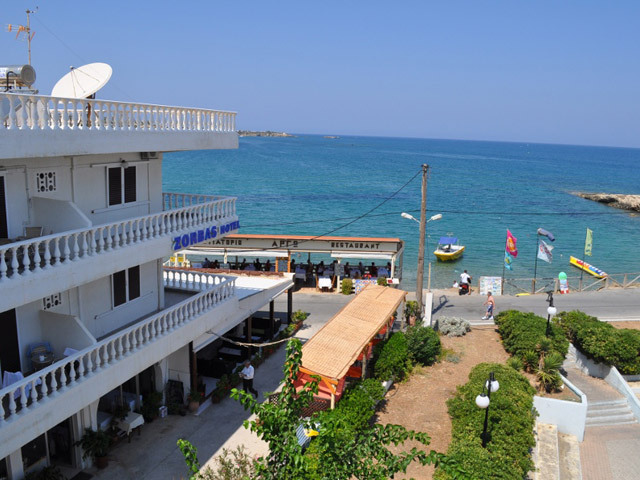 Thousands of Tourist flood the area of Hersonissos every summer and the region is much alive and very active. It is a resort that combine Cosmopolitan atmosphere (all kind of shops- bars- cafes- restaurants- Pubs- Discos etc.) and the magic of the blue crystal clear sea under warm sun undisrupted for 8 months with lots of organized beaches that offer entertainments and sea sports. Open May to October ... To ensure your day gets off to a great start, the hotel provides a buffet breakfast every day. Guests can enjoy a drink and relax in the hotel's bar. 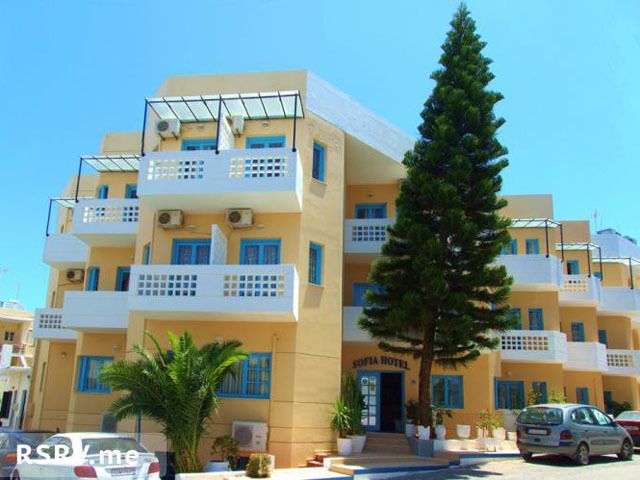 Open: April to October ... Nestled in the heart of Hersonissos, Blue Island Hotel, can be the ideal place to spend your holidays at any time and at the most competitive rates. Open: April - October. 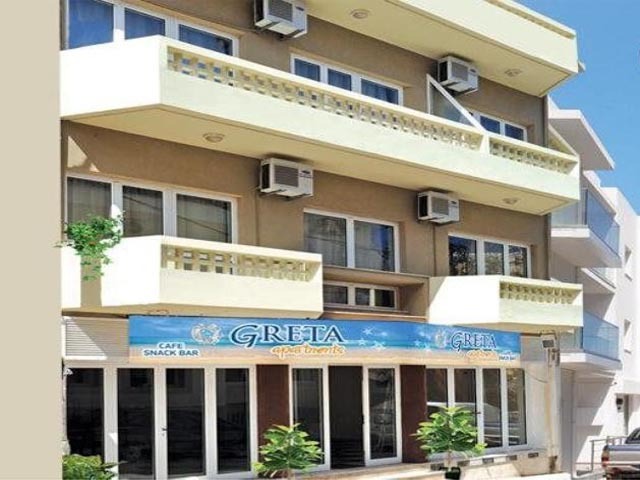 Hotel Zorbas is located 25 Km, east of Heraklion city, the capital of Crete and international airport, inthe city of Hersonissos. It's right beside the beach, 200 meters from the town center, with shops, entertaiment venues, bars, boutiques, restaurants and just 800 meters from the beautiful traditional villages perched in the mountais ovelooking the Port of Hesonissos.